Here’s a glimpse of forthcoming books. Claude Lacaille witnessed close up the oppression and poverty in Haiti, Ecuador, and Chile where dictators and predatory imperialists ruled. Like other advocates of Liberation Theology, he saw it as his duty to join the resistance, particularly against Chilean military dictator Augusto Pinochet. But the dictators were not alone, as they often enjoyed the support of the Vatican, sometimes tacit, but then brazenly open under Popes John Paul II and Benedict XVI. 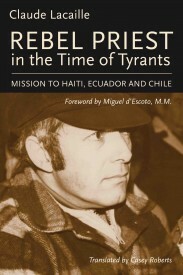 He began writing Rebel Priest in Chile where thousands shed blood simply because they defended victims of dictatorship, opposed rapacious policies and economic doctrines, consoled the downtrodden, and breathed new hope and courage into a people who desperately needed it. Claude Lacaille lives in Trois-Rivières, Québec. Miguel d’Escoto Brockman is a Nicaraguan diplomat, politician, and priest of the Maryknoll Society of Missionaries and a supporter of Liberation Theology. Jake McCool, the injured hard-rock miner introduced in The Raids, returns to work for INCO, but at its nearby Copper Cliff smelter complex. He soon finds himself embroiled in a vicious fight over health and safety. Particularly alarming are the extreme levels of sulphur dioxide poisoning the air in the smelter and in the surrounding area and creating Sudbury’s infamous “lunar landscape.” This fight reaches new dimensions. Free-lance reporter Foley Gilpin, who had worked for the Mine Mill union in The Raids, sparks attention at The Globe & Mail. Then local parliamentarian Harry Wardell smells high-level collusion between Inco and the government at Queen’s Park in Toronto. 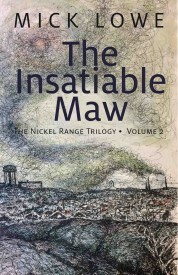 Through the lives of Jake and his girlfriend Jo Ann Winters, their roommate Foley Gilpin, and a new cast of characters, Mick Lowe chronicles an entire community’s eco-defiance. Mick Lowe is a prolific journalist, writer, and newspaper columnist, and author of the true crime classic Conspiracy of Brothers and The Raids. He lives in Sudbury, Ontario. Barry Healey is a former television writer and novelist. 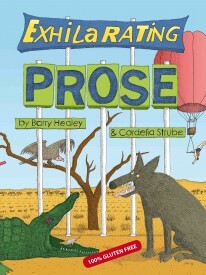 Cordelia Strube is a playwright and the author of nine critically acclaimed novels and teaches creative writing at Ryerson. Both authors live in Toronto. 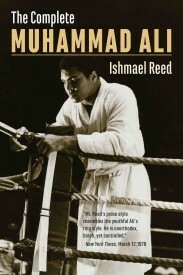 Ishmael Reed calls this book The Complete Muhammad Ali because it includes material and photographs not included in most of the one hundred other books about the Champion. Admirers write the two best sellers about the champion. One of them, the “official” biography, was supervised by his third wife, Lonnie Ali, who has been known to censor any material that she might find unfavorable to the champion’s reputation. The other extreme can be found in books that blame President Ford and Muhammad Ali for the loss of Vietnam, or that present him as a malicious buffoon. The Complete Muhammad Ali charts a middle course. It also includes voices that are omitted from the other books. Filipino American author Emil Guillermo speaks about how “The Thrilla’ In Manila” brought the Philippines into the Twentieth Century. This was one of the many interviews that took the author from McDonald’s in Louisville to the plush rooms of The New York Literary Establishment, and from his hangout an Eritrean restaurant called the Dejena to a marathon race in Las Vegas. The book charts Ali’s evolution from Black Nationalism to a universalism. But this does not discount the Nation of Islam and Black Nationalism’s important influence on Ali’s intellectual development. Instead of being dismissed as “Lunatics” and “thugs” we hear Black Nationalists and Nation of Islam members in their own words. There is something to the remark made by Minister Sam X, who introduced Ali to the Nation of Islam. He said that without Elijah Muhammad, his mentor, nobody would have ever heard of Muhammad Ali. More than a biography, The Complete Muhammad Ali is a fascinating portrait of the Twentieth Century and the beginning of the Twenty-First. Ishmael Reed is a prize-winning essayist, novelist, poet, and playwright and the author of numerous books, including Barack Obama and the Jim Crow Media and Going Too Far. He taught at the University of California–Berkeley for 35 years, as well as at Harvard, Yale, and Dartmouth. He lives in Oakland, California.